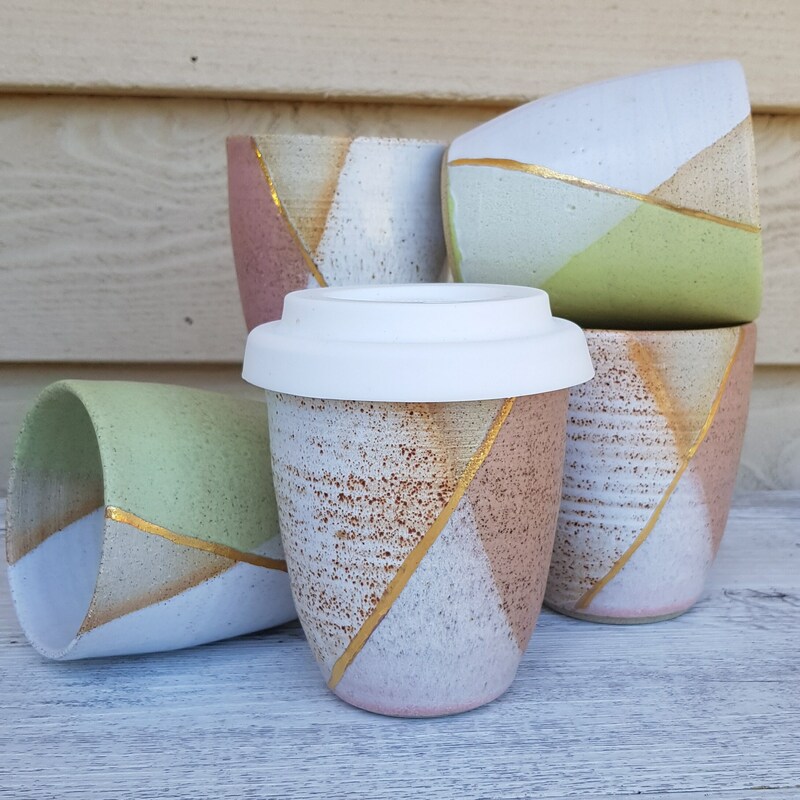 Stoneware tumbler in white and green with gold detailing. 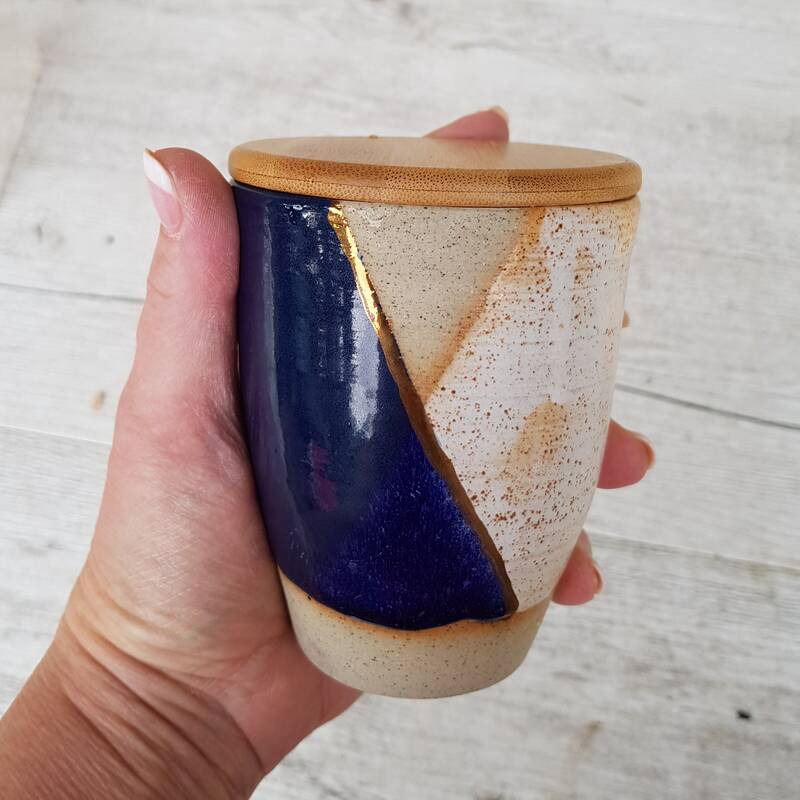 Start your day right with a cuppa in this luxurious handmade tumbler made by Jo in her studio at the foothills of the Dandenong Ranges, Victoria. 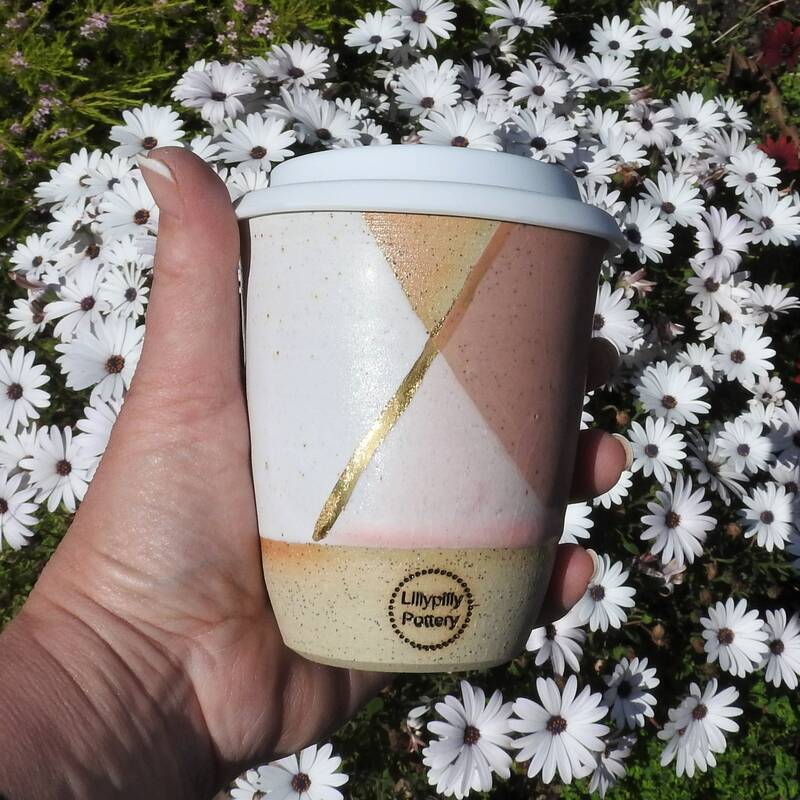 Glazed in white and green and embellished with a stripe of genuine gold luster, this tumbler is as gorgeous to drink from as it is to look at. Hand wash only in hot soapy water. Not suitable for dishwasher or microwave. PLEASE NOTE: I DO NOT ACCEPT REFUNDS OR EXCHANGES FOR CHANGE OF MIND SO PLEASE CHOOSE CAREFULLY. If you have any questions about this listing please feel free to send me a message. 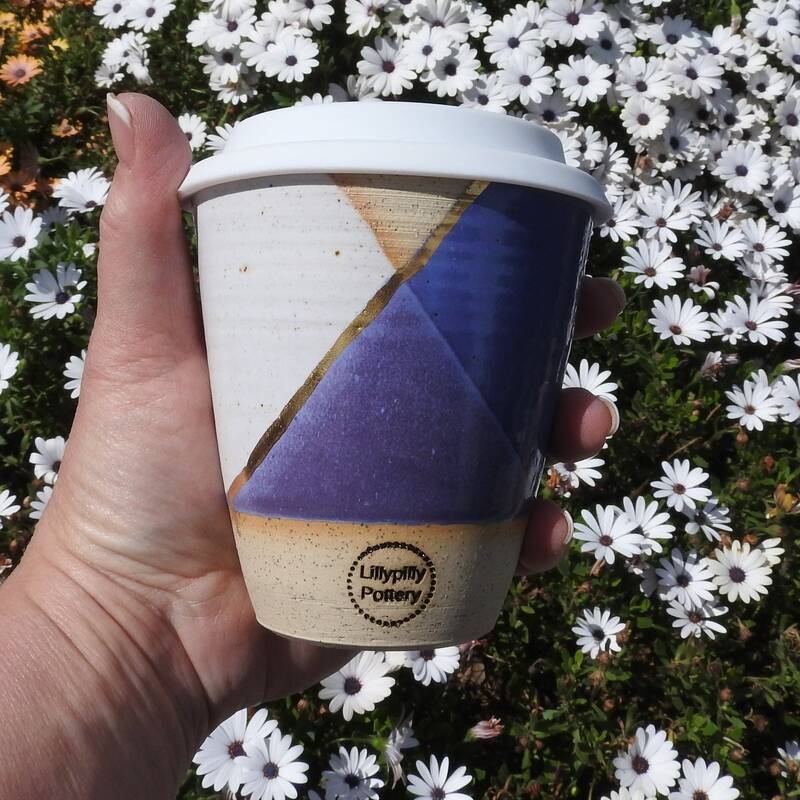 For the latest news and events, follow @lillypillypottery on Instagram! So pretty! Use mine every day and the other one was a perfect gift! I get tons of compliments for it. quick and friendly shipping!